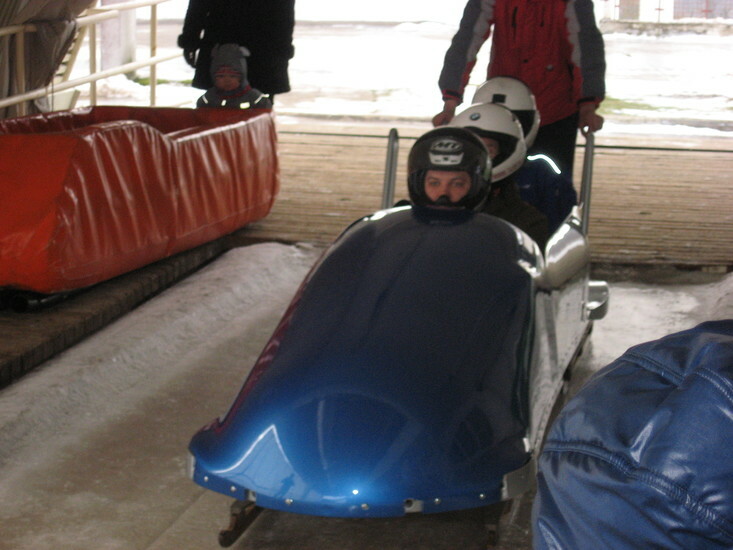 Sitting at a small dive bar in the old town with friends on a Friday night, we were embarrassed to admit that after having lived in Latvia for over ten years, we had never once attempted a run on the legendary bobsleigh track in Sigulda, only an hour’s train ride away from Riga. 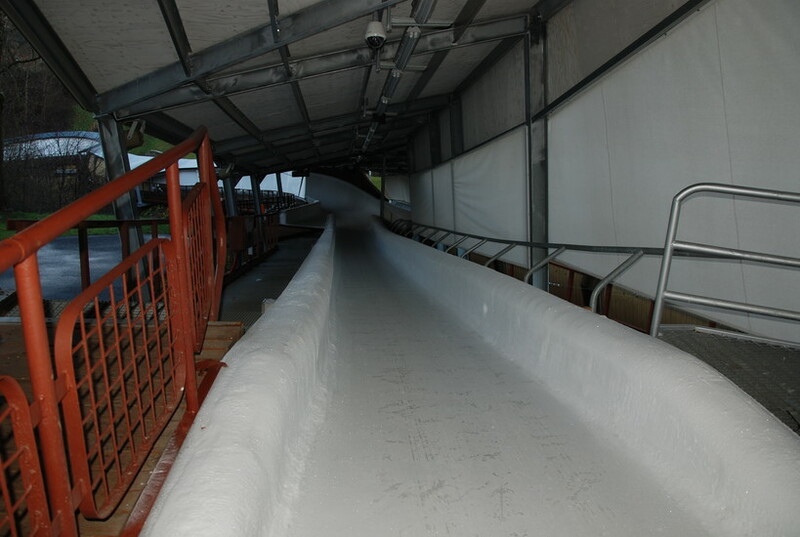 Completed in 1986, the 1200m-long track regularly hosts international luge and skeleton competitions. 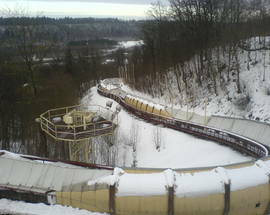 Unfortunately, the track was deemed unfit for men’s four-man bobsleigh tournaments giving rise to the commonly held belief by Latvians that either the East Germans who designed the track or the Yugoslavians that did the heavy lifting purposely created a defect to bolster their own local courses. 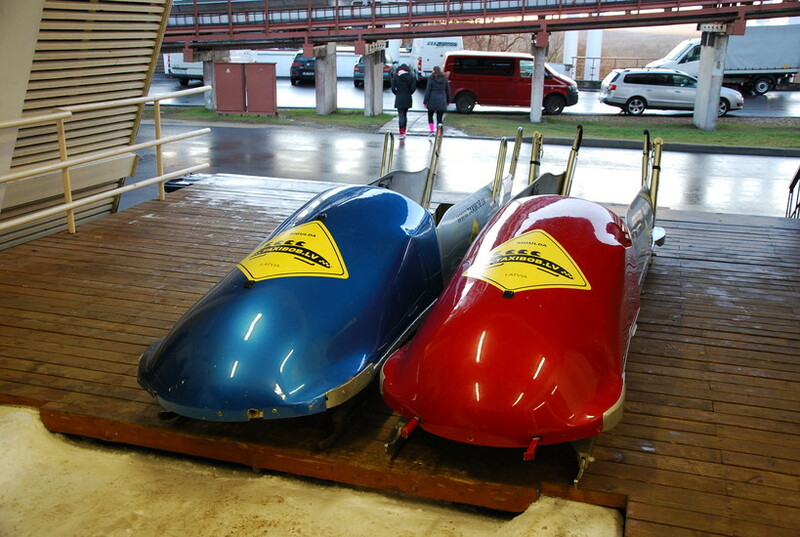 In any event, the track may not be up to snuff for World Championship bobsleighing, but visitors can take a ride in renovated Italian-made equipment that was used in the Sarajevo Olympics. Naturally, a professional driver is at the helm to prevent any Jamaican-style accidents. Fortified by local Tērvetes brew, we decided that it was high time to check out this Latvian landmark. Even though our enthusiasm had waned some on that sober Saturday morning, the arrangements had been made so there was no backing out. Our fellow beer and bobsleigh buddies surely wouldn’t accept the excuse that we had laundry to do and that the refrigerator desperately needed defrosting. After buying a return ticket to Sigulda at the Riga central station, we hopped on board an antiquated passenger train and phoned a friend who had made the run within recent memory. The news was not reassuring. 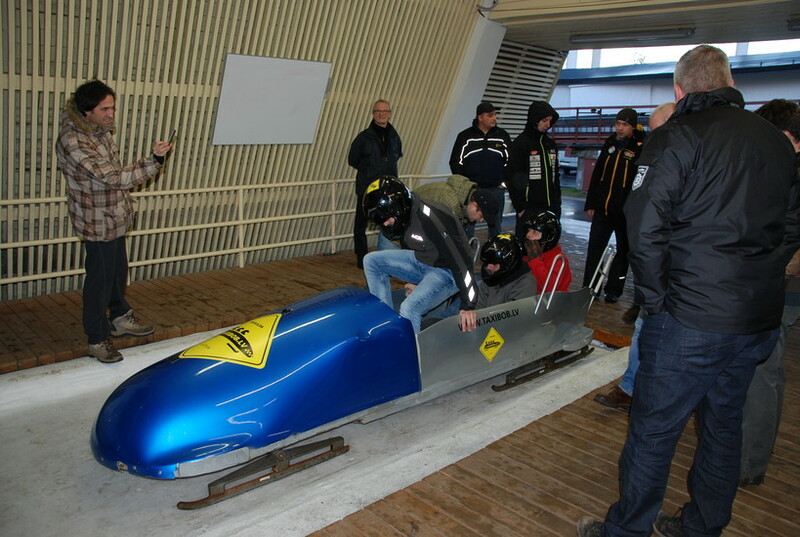 He confirmed our suspicions that bobsleighing isn’t for the faint of heart and that we were destined to spend a harrowing minute being bounced about an icy death tube. Luckily, one of us had the foresight to bring a flask of whiskey, which calmed our jittery nerves. 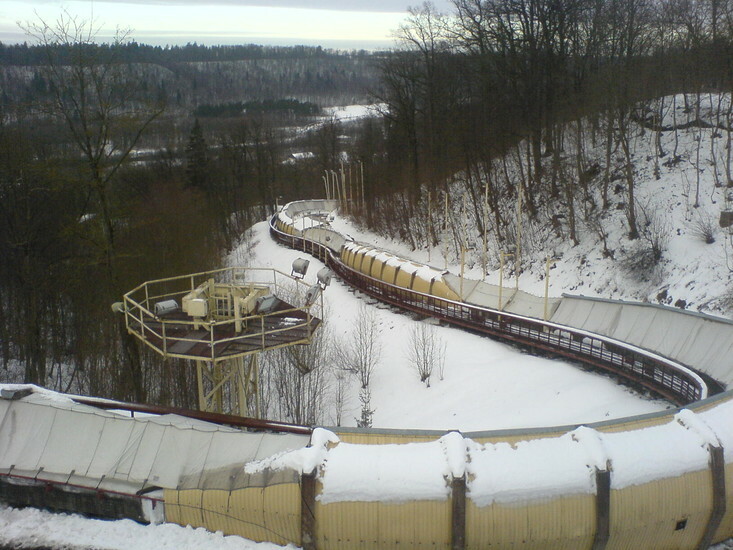 Arriving in Sigulda, you can see the massive white building that serves as an observation tower for visitors and the starting point for bona fide luge and skeleton tournaments. With the flask empty of its soothing contents, we climbed out of the train and walked a little over half a kilometre back to the ominous bobsleigh track. Thankfully, only professionals begin from the main building at a height of 19m above the ground. Tourists, locals and nervous guidebook editors start their journey from the parking lot. 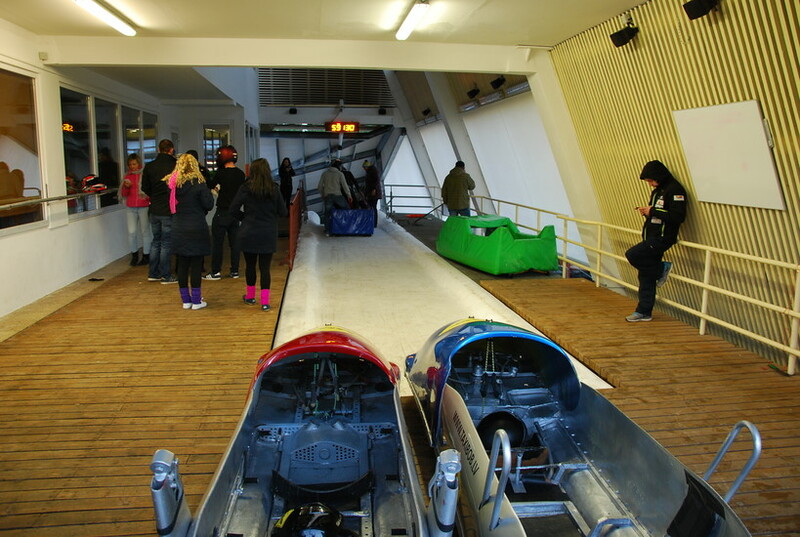 We can’t stress emphatically enough that it was the unsavoury €50/person price tag that convinced us to opt for the slower vučko and not a lack of intestinal fortitude that made us give the authentic bobsleigh a pass. At a financially friendlier €10/person, the foam rubber vučko basically looks like something between a life raft and a torpedo, but can still reach speeds of 70km/h. 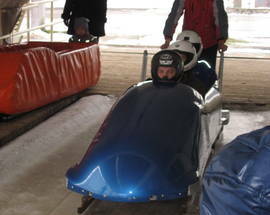 The genuine bobsleigh gets closer to the 100km/h mark. A bunch of what appeared to be German tourists, had just come back from a bobsleigh run grinning ear-to-ear, so the track was clear and after we donned our black helmets we were good to go. 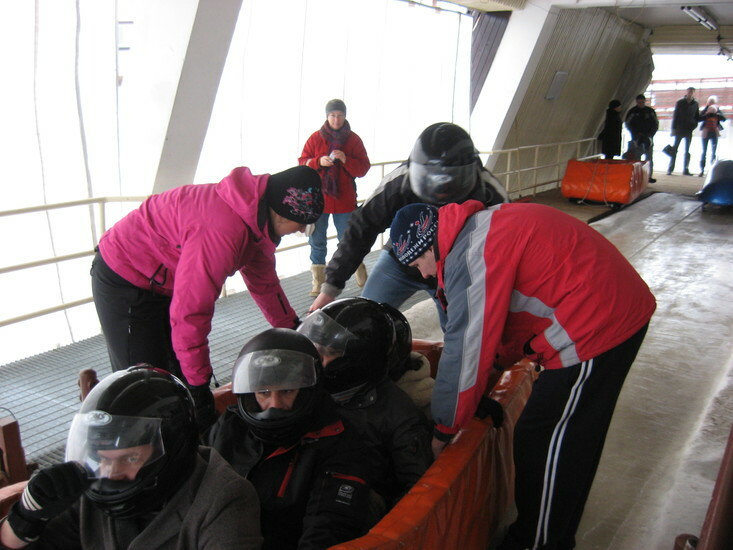 Five of us, including a six-year-old girl, climbed into the padded toboggan and prepared ourselves for the trials and tribulations that gravity had in store for us. After gaining considerable speed and feeling like Tom Cruise in Top Gun when the G-forces begin to kick in, a loud shriek pierced the chilly Sigulda air and we were shocked to discover that the blood-curdling scream wasn’t emanating from the school girl’s mouth, but our own. Eventually it became clear, that we were, in all likelihood, going to survive the ordeal and a feeling of euphoria overcame us, allowing us to enjoy the rest of the ride, which, refreshingly, lasted longer than we had expected (about one minute). 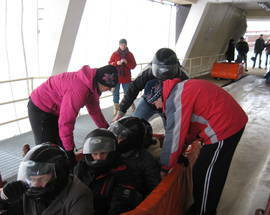 At the end of the track employees shooed us into a truck with the vučko and we began the short ride back to the top. Instead of traces of fear, anxiety and perhaps even a little vomit on our faces, relief, adrenalin-induced excitement and a sense of accomplishment beamed from our elated mugs. Having conquered the mountain (and our cowardice) we turned our attention to the frog, or varde in Latvian. Unlike the vučko, this green contraption included a plastic window in the front allowing its two passengers to lie down on their stomachs to see every inch of ice pass underneath their noses. It cost €15/person, but was well worth the extra cash. The deed was done and it was time to celebrate. After comparing war stories and bending elbows at a local café, our bravado knew no end. 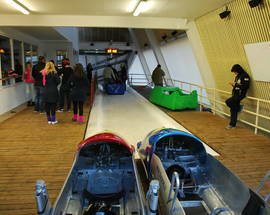 Who’s afraid of the big bad bobsleigh? The cowardly editor of this publication strongly recommends this unique experience that even families with children five years of age and over (€7/child) can enjoy. You can contact one of the places below to help plan your trip, or just take the train as we did. No reservations are necessary for the vučko or varde. 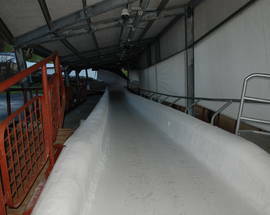 The track is open every Saturday and Sunday 12:00 - 17:00. 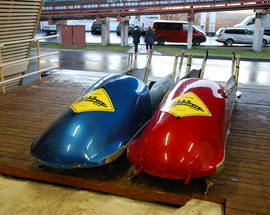 You can also take a run on the track in the summertime with a special bobsleigh on wheels. Sigulda, Šveices 13, tel. 29 18 53 51. Open Sat, Sun 12:00 - 17:00. Sigulda, Peldu 2, tel. 29 24 49 48, karina@makars.lv, www.makars.lv. This friendly, family-run tourism firm organises canoeing, rafting and camping trips in the Gauja Valley during the summer and bobsleigh runs during the winter.